We installed premium roofing for a customer south of Austin that manufactures sophisticated carbon-fiber turbines for jet aircraft – and is subject to frequent quality-assurance inspections by its customers. 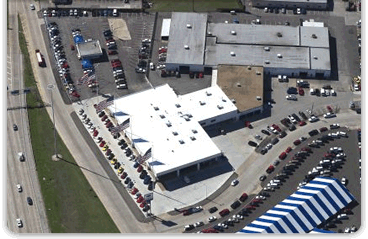 Before we applied our SPF system over their standing-seam metal roof in 2001, this facility had 30-plus leaks. In the 12 years since, they’ve had none. In 2007 we partnered with our elastomeric coating manufacturer, Neogard, on a premium hail-resistant roofing system in Iowa. The customer, a global Internet-related enterprise, has a large data center facility filled with computers and servers – right in the heart of the “hail belt.” Water leaks caused by large hail would jeopardize the electronic lifeblood of this business. The customer also sought added insulation for the facility’s roof to maintain a constant temperature. We sprayed the standing-seam metal roof with our high-compressive-strength polyurethane foam to a depth of two inches, then applied three layers of Neogard Permathane II elastomeric coating. Six years later, we haven’t had a single call on their roofing system, with its performance covered by a hail-damage warranty. Dallas gets more than its fair share of severe, roof-damaging storms, which figures into the school district’s construction and insurance budgets. Not only does DISD need to keep school occupants and contents safe and dry, it needs to be a good steward of taxpayers’ money. If the district filed an insurance claim to replace a damaged roof, its deductible would likely be 1-2% of the replacement cost – upwards of $100,000. So, it behooves DISD to choose roofs that offer the most enduring protection and the best warranty. So far, we’ve installed our hail-resistant roofing system at one elementary school and one high school. Chances are, the district can put that $100,000 insurance deductible to better use. In most cases, our waterproof, structurally sound SPF roofing systems can be installed over the existing roof. We spray 1.5 to 2 inches of closed-cell polyurethane foam that’s formulated to a high compressive strength. The foam is covered with a three-layer, 45-mil-thick Neogard Permathane II elastomeric coating. These systems typically run about 30% more than our standard SPF roofs, which get a 30-mil-thick elastomeric coating. Either way, SPF roofing systems create a seamless barrier to moisture. And, it’s easy to spray the foam into roof penetrations, so there are no gaps, unlike single ply, mod bit or other conventional roofs that require crazy-quilt splicing of material around flashings, AC cords, etc. In the time it takes conventional roofers to marginally cover one penetration, we’ve already sprayed the entire roof!